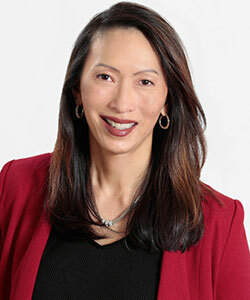 Denise Lee Yohn is a brand leadership expert, speaker and author of the bestselling book What Great Brands Do and the new book FUSION. Why is building a great brand important? Lee Yohn: In today’s cluttered, competitive marketplace, you need to stand out, get noticed and be perceived as different from others like you. You also need to develop an emotional, meaningful, valuable connection with customers and employees. A strong brand can help you do all of this – and when you have a strong brand, you enjoy true customer loyalty, higher profit margins, lower operating costs, greater marker valuations and good will. Why are many companies behind the times in this? Lee Yohn: Many business leaders still think of their brand as a logo, tagline, image, or message. As such, they put the priority on expressing or promoting what they do, as opposed to working on making what they do unique and valuable to customers. What are the key things companies should do in building a great brand? Great brands start inside: They start brand-building by cultivating a strong brand-led culture inside their organizations. Great brands avoid selling products: They seek to make an emotional connection with customers instead of pushing products on them. Great brands ignore trends: They advance their own cultural movements. Great brands don’t chase customers: They don’t try to be all things to all people. Great brands sweat the small stuff: They know all the little things they do in the customer experience far outweigh the big promises they make in advertising. Great brands never have to ‘give back’: They create shared valued for all their stakeholders. Great brands commit and stay committed: They stay true to the core of what they stand for. All of these principles add up to what I call the “brand-as-business” management approach, which means you use your brand to drive, align and guide every aspect of your business. Can you give me examples of companies that have done this exceptionally well? Lee Yohn: Amazon, Apple and Starbucks are some of the most visible ones, but small businesses, startups and even non-commercial organizations can excel at brand-building. Lululemon and Cirque du Soleil are two examples of great brands from Canada. How do companies build cultures that drive performance and why is that important? Lee Yohn: Culture-building starts with knowing what kind of culture you should have in the first place. In my new book, FUSION: How Integrating Brand and Culture Powers the World’s Greatest Companies, I explain that your culture should be aligned and integrated with your external brand identity – that way, everything every employee does helps build your brand. High performance is achieved when everyone in your organization is oriented to the unique challenges and opportunities your business faces and they’ve developed the specific mindsets and behaviours that enable them to deliver on-brand customer experiences.